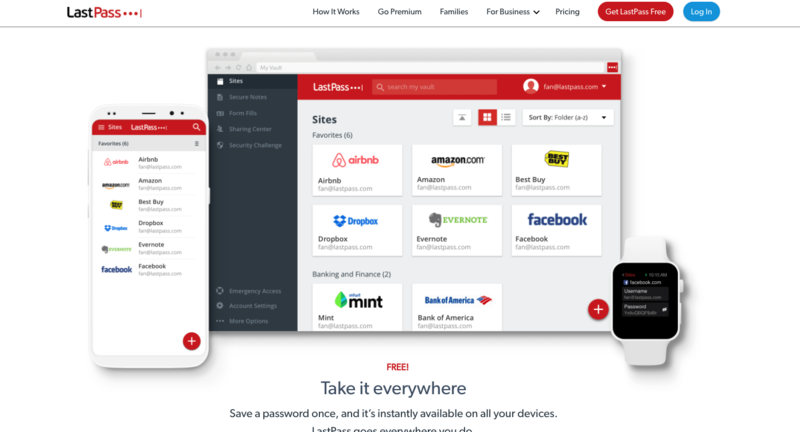 Switching from old-fashioned password memorization to using a password management tool like LastPass will make your life easier and your accounts much more secure. The best password is one you can’t remember. I’m sure you have dozens, if not hundreds, of websites and they all need complex, ideally unique passwords. Unless you’re superhuman, you’re making sacrifices with either the complexity of your passwords or reusing the same ones over and over. As hackers employ more advanced tactics to get into your accounts, this is simply asking for trouble. Not only can a hack be frustrating/devastating for you, it can affect others. For example, you’ve all received emails from a friend’s hacked email account encouraging you to click a link or wire money. 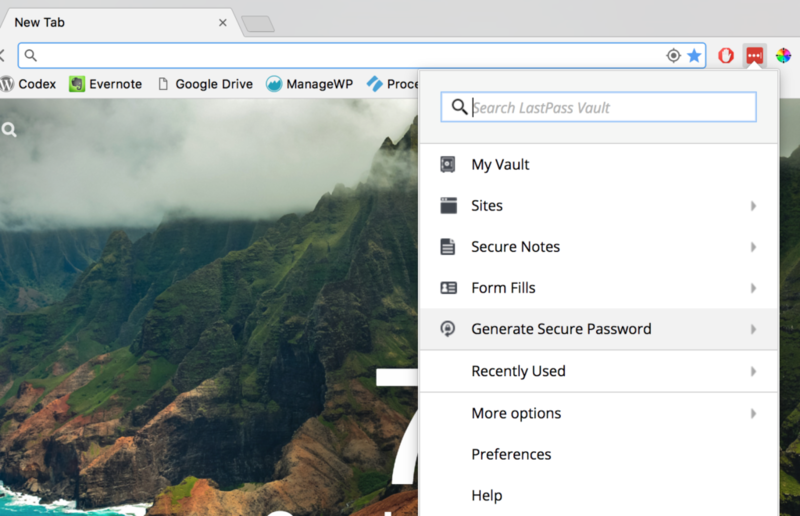 LastPass is an excellent tool for securely managing all your passwords. The free version probably will do everything you need it to do, and the premium version is only $24 a year. Once you add the Chrome Extension, it detects whenever you enter a username/password combination and lets you save it to your vault. Then anytime you go to a login page, LastPass auto-fills your saved password. Because you never have to type your passwords again, you can use complex passwords that are virtually impossible to hack. You can have LastPass generate these passwords for you if you prefer. Without going into the technical details, yes, it is very secure. Your passwords are encrypted, so LastPass (the company) can’t even see the passwords you store there. If they ever got hacked, the encrypted version of your passwords on their server would be useless. So as long as you use a complex password for LastPass, it’s a very secure option. Add trusted users who can access your account if something happens to you. People increasingly rely on their online accounts, rather than paper documentation, to keep track of their important financial information. If anything happens to you, though, your loved ones will have a tough time tracking down where you have accounts and how to access them. My wife and I share a LastPass account, which makes it super easy to access all of the accounts we use. But what if you don’t want your spouse/friend/relative to access your passwords unless there was an emergency? LastPass has a feature that allows you to add trusted users as an emergency backup to your account. These users can request access to your account, which will send you a notification. If you don’t reject that request in a set period of time (24 hours, a week, etc. ), then they are given access to the account. Another great feature of LastPass is that you can let other users use one of your passwords without being able to see/edit it. For example, an organization might need employees to have access to a few accounts. The LastPass extension on their browsers can autofill the password for this account, but they will never actually see the password. When that employee leaves the organization, you can then revoke access to that login. Go to their website to download the browser extension. You can also get the mobile app for any device. Create your account. Make sure to use a strong password! (8-12 characters long, with a combination of upper-case, lower-case, numbers and symbols). Write this down in a secure place if you don’t trust yourself to remember it. Start saving passwords. Anytime you enter a password that isn’t already in the vault, a toolbar will show up, giving you the option to save the password for future use. Use the password generation tool for sites that are the most important to keep safe, such as your email, bank accounts, etc. Simple passwords are OK for sites that don’t have sensitive information—such as a forum. 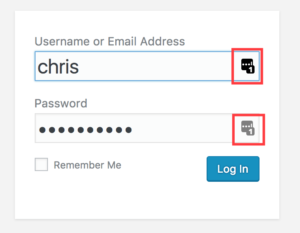 Whenever you get to a login page that is stored in LastPass, the LastPass extension will fill in your username and password. If you have multiple accounts on one site, you can choose which one to log in with. Let your mind relax, knowing that you only need to remember ONE password, and the rest will take care of itself! Let this be the year you get secure and stop getting locked out of your accounts. Feel free to leave a comment if you have questions about getting started on LastPass. Hi. You say that you share LP with your wife. I have a ‘free’ LP account, and my wife has the master password, but not her own LP account …which is absolutely acceptable to both of us. What we want is to both be able to use the one account, and each of us can log in to it and store our individual passwords. It seems that there is only one email address so I believe she would have to sign in with my email address, which is the registered email address with LP. Or is it better to have 2 LP accounts and enable the sharing modes, which I have not looked into yet. Can you suggest a method to do this ..perhaps ‘buy Premium? or each have a separate account, meaning different emails addresses, but we could each have the same secure master password if wanted. what is the best way to go around this and get us both password protected? Any ideas would help here, if possible. thanks. Hi Harvey! If you don’t need to keep any of your passwords private from each other, then I think a single shared account should be fine. You can set up folders in LastPass to keep things organized if you want. If you don’t want all of your passwords shared, then get separate accounts and set up a shared folder within them. Add any passwords you both need to the shared folder, and keep everything else separate. I can’t remember whether shared folders work with a free account, but the family premium account costs $4 a month if needed. Good luck!